Today is Wednesday, March 1, the 60th day of 2017 in the Gregorian calendar, with 305 days remaining. 1,421 days until the end of Donald Trump's term as President, assuming he isn't impeached. 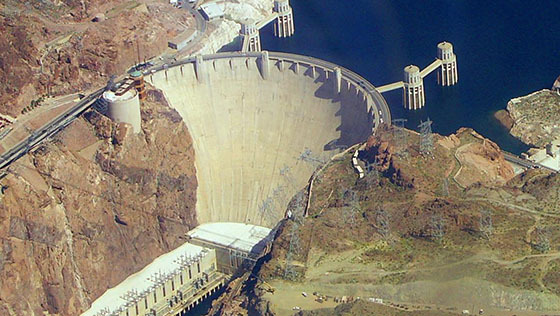 On this date in 1936, the construction consortium Six Companies turned Hoover Dam over to the Federal government, two years ahead of schedule. Among other things, today is also National Pig Day, "to accord the pig its rightful, though generally unrecognized, place as one of man's most intellectual and domesticated animals." Florida man deposits cocaine in bank ATM. "The American press is extraordinarily free and vigorous, as it should be. It should be, not because it is free of inaccuracy, oversimplification and bias, but because the alternative to that freedom is worse than those failings." "Our energy-consuming way of life may be causing climatic changes, with adverse consequences for us all... if the threat of global warming is to be realistically addressed, the future will need to be different." A 1991 film by Shell Oil, which apparently forgot about it, given the money it's been spending lobbying against climate change. Amazon is fighting a request by police for data possibly gathered by an Echo device that "witnessed" a murder. First amendment defense is commendable, but why are recordings and data stored on Amazon's servers at all? If you have a CloudPet, the internet-connected teddy bears have leaked 800,000 customer credentials and two million messages. And, they can easily be hacked and turned into remote listening devices. It shouldn't be much of a surprise to learn that some hyper-partisan left- and right- wing websites pushing opposite spins of the news share the same corporate parent. A big outage at Amazon Web Services (AWS) yesterday afternoon caused major web disruptions. Amazon wasn't able to update its own service health dashboard for the first two hours of the outage because the dashboard itself was hosted on AWS. DNA tests show Subway chicken in Canada 50% chicken, 50% something else.